1888 is Toll Free Number for Person with Disability (PWD) or Physically Handicapped (PH) person's Helpline. 1888 Number is helpline Number to handle grievance of Handicapped person run by Delhi High Court to seek help or register complaint. Videocon D2H Customer Care New Number 9115691156: Videocon D2H New Customer Care Number is 9115691156 from September 2017. Many Videocon DTH users are not able to call old Customer care Number 7355873558 from BSNL, Jio, Vodafone and getting fake announcement like All route are Busy, Number does not exist and so on. Now Videocon has issued New Videocon D2H Customer Care Number which is 9115691156 for all users. Videocon DTH has also updated new number on its website to all users. So all users must use Videocon D2H Customer Care New Number 9115691156. GST Helpline Tollfree Number 18001200232: Goods and Services Tax (GST) is launched on 1st July 2017. 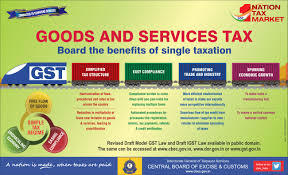 For GST Questions, Helpline for frequently asked questions by industry, the Central Board of Excise and Customs has opened many lines of communication for addressal of GST-related queries. NSDL TIN PAN Card Helpline Number for New, Change Name: Tax Information Network (TIN) is an initiative by Income Tax Department of India (ITD) for the modernization of the current system for collection, processing, monitoring and accounting of direct taxes using information technology. TIN is a repository of nationwide Tax related information, and has been established by NSDL e-Governance Infrastructure Limited on behalf of ITD. Some time people get stuck while applying application ONLINE using Digital India instead of some Agent / Dalal in Market. Moreover your application might get stuck for months with status "Your application for 'New PAN Card or/and Changes or Correction in PAN Data' is under process at Income Tax Department" on NSDL Webiste https://tin.tin.nsdl.com/tan2/servlet/PanStatusTrack with No clue to user and no proper helpline from Income tax department. Here is method to Contact NSDL PAN Card Helpline Number for New, Change Name or any other Changes in PAN application form. 1323 is helpline Number for IRCTC Railway e-Catering services. Where customers can call at Normal call rates. 155280 is helpline Number for Indian Air Force, while old Number 155226 is closed as per DoT Circular on 7th July 2017. 155275 is helpline Number for Energy Efficiency Services ltd. 155275 or 18001803580 is toll Free where customers can call free on Short Code of Toll Free Number.